Apologies for absence were received from Councillor M Burton. Councillor Purle confirmed that, with regard to Item 15. Homelessness and Rough Sleeper Review, his business was undertaking work for a financial services firm that was connected to a provider of emergency housing in the Borough. He would therefore remove himself from the meeting during debate and voting on the item. To consider whether any items should be taken in private because of the possible disclosure of exempt information. RESOLVED: That the minutes of the meeting held on 11 December 2018 be approved as a correct record and signed. Mrs Jennifer Shepherd, Head of Environment and Public Realm, advised that the “Litter Enforcement Review” item could be removed from the Committee Work Programme, as it was incorporated in the “Waste Crime Update”. The Committee agreed that due to the high workload scheduled for 12 February 2019, the “MBC Provided Gypsy and Traveller Sites” item was to be considered on 19 March 2019. The Committee requested that a visit to Heather House be arranged prior to consideration of the topic on 10 April 2019. There were no Reports of Outside Bodies. View the background to item 134. The Committee expressed concern at the proposed increased charges for the Garden Waste Service, as there was a risk that residents with lower incomes would be discouraged from using the service. Further to this, the Committee was uneasy about the price increase for Food Export Certificates. It was suggested that House in Multiple Occupation (HMO) Licenses were an opportunity for the generation of additional income. · The increased charges for the Garden Waste Service did not exceed figures that had previously been agreed by Members. · It was necessary to consider the increased charges for services in the context of balancing the whole Council budget. · It was preferable to generate additional income rather than cutting services. · The Garden Waste Services charge was originally due to be increased in both 2019/20 and 2020/21. The proposal in the report ensured that customers did not experience increased charges in consecutive years, and that costs remained competitive with other Local Authorities. Mr John Littlemore, Head of Housing and Community Services, explained to the Committee that HMO Licenses lasted for three years. A reduced income from licences was therefore expected in Years Two and Three following a large number of applications in Year One. The rationale for increasing Food Export Certificate charges was to be circulated to the Committee outside of the meeting. Mrs Shepherd stated that neighbouring Local Authorities had explored the introduction of a Garden Waste Service, and estimated that it would cost £15 more than the proposed charge. 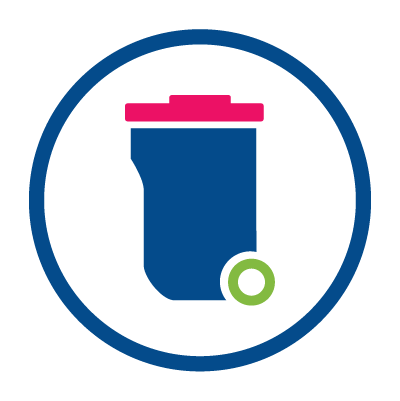 Furthermore, Maidstone Borough Council (MBC) offered residents the opportunity to use smaller bins or share bins with neighbours to ensure for value for money. Customer usage figures were monitored on a monthly basis and could be shared with the Committee, while historical figures regarding price increases could also be shared outside of the Committee. The Committee commented that it was preferable to agree the proposed increased charges and to monitor uptake of services to assess the impact of the decision. Despite the reluctance to increase prices, it was stated that there were no other viable way to save the required money. RESOLVED: That the proposed discretionary fees and charges set out in Appendix 1 to this report are agreed. Voting: For – ... view the full minutes text for item 134. View the background to item 135. Mr Green addressed the Committee, and detailed that the Medium Term Financial Strategy (MTFS) had been aligned to the new Strategic Plan priorities. Some growth had been provided to address specific priorities, such as additional funding for street cleaning. Savings were also proposed, which were to be delivered through improved efficiencies, generating income and reconfiguring services. Where possible, savings would not come from cuts to services. Mr Green explained that the Committee had a substantial capital programme budget including investment in property that was used to provide temporary accommodation. The Committee acknowledged the need to balance the budget, and commented that aligning the budget to the Strategic Plan was a positive approach. It was suggested that, in future, the Council could charge other organisations who wished to access recorded CCTV footage. In response to questions from the Committee, Mrs Shepherd stated that the increased monies made available for street cleaning would fund street washing equipment and an additional 20 hours per week of staffing to operate the machinery. Mr Green explained to the Committee that the additional £3m for investment in temporary accommodation would allow the Council to purchase at least 10 properties. This enabled the Council to meet need more effectively, at a reduced price. This also ensured the Council had assets that could be sold if the need for temporary accommodation reduced in the future. 1. The revenue budget proposals for services within the remit of this Committee, as set out in Appendix A, be agreed for submission to Policy and Resources Committee. 2. The capital budget proposals for services within the remit of this Committee, as set out in Appendix B, be agreed for submission to Policy and Resources Committee. Note: Councillor Purle left the meeting after consideration of this item. View the background to item 136. Mr Littlemore explained to the Committee that the Homelessness and Rough Sleeper Review explored homelessness trends over the previous five years. It was explained that the Homelessness Reduction Act 2018 changed how information was collected, and it was therefore difficult to retrospectively compare data. The report highlighted an increased level of homelessness each year. The key reason for homelessness was that an individual had lost accommodation after being evicted by family or relatives, while an increase in domestic abuse had been identified. The £3m investment focussed on providing temporary accommodation for families where children were homeless, as this was a priority need. · The reasons for homelessness encompassed within the “Other” option could be circulated outside of the Committee meeting. · The information in the report was taken from returns that were provided to the Government on a quarterly basis, and the information was therefore publicly available. 1. The findings of the Homelessness and Rough Sleeper Review (Appendix A) are approved to be used in drafting the consultation document and in developing the next Homelessness and Rough Sleeper Strategy. 2. The Policy and Resources Committee are recommended to invest a further sum of £3 million towards acquiring additional temporary accommodation in order to meet rising need. 6.30 p.m. to 7.41 p.m.